Here is a giant block of ice. You can’t tell very well in this picture, but it’s enormous. It’s the size of John. Far too big to lift even two months after it fell. 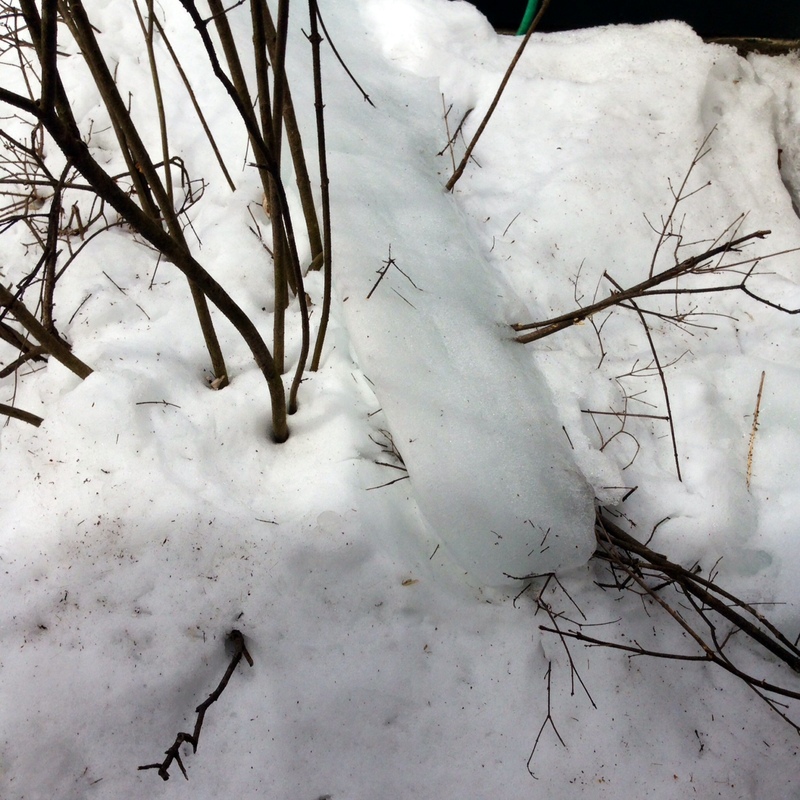 As you can see, it fell directly on the lilac outside our kitchen. I don’t want to dwell too much on the weather, but I feel like the lilac. Winter can’t end soon enough.